(Bloomberg) — Royal Dutch Shell Plc, which is buying BG Group Plc in the industry’s largest deal in a decade, expects fourth-quarter profit to drop at least 42 percent after the rout in crude prices deepened. Profit adjusted for one-time items and inventory changes probably shrank to $1.6 billion to $1.9 billion, Shell said Wednesday in a preliminary earnings statement. That compares with the $1.8 billion average estimate of nine analysts surveyed by Bloomberg, and profit of $3.3 billion a year earlier. BG also published a provisional results statement that showed its 2015 oil and natural-gas production will probably beat forecasts. It expects full-year adjusted profit to be about 58 percent lower. Crude’s collapse below $30 a barrel has driven down Shell’s market value to the lowest in almost seven years and prompted concern it may be overpaying for BG’s production and cash flow. Shell has prepared for a prolonged market slump by cutting staff and spending. Job losses at both companies in 2015 and 2016 will exceed 10,000, including 2,800 after the combination takes effect, according to Chief Executive Officer Ben Van Beurden, repeating previous announcements. “Shell has reiterated its determination to see the BG deal through, despite some concerns around the viability of the transaction given a depressed oil price which is under continuing pressure,” Richard Hunter, Head of Equities at Hargreaves Lansdown Stockbrokers, said in an e-mail. BG’s “robust operational performance” in Australia and Brazil “vindicate a large part of the rationale for the deal,” he said. The average price of Brent crude, the international benchmark, fell 42 percent in the quarter from a year earlier to $44.69 a barrel, the lowest since 2009. Shell’s B shares, the class of stock used in the deal, dropped 5.2 percent to 1,299 pence in London at 9:22 a.m. local time. The stock has retreated 16 percent this year, extending last year’s 31 percent decline. The company has justified the BG deal by saying it boosts Shell’s ability to maintain dividends, makes it the world’s biggest liquefied natural gas company and gives it oil and gas assets from Australia to Brazil. Shell expects to earn $400 million to $500 million from its oil and gas production and LNG businesses in the fourth quarter. That includes $1.6 billion to $1.9 billion from the gas division, meaning the company will probably report a loss from oil, according to Richard Griffith, a London-based analyst at Canaccord Genuity Ltd. Shell reduced operating costs by $4 billion, or around 10 percent, in 2015, and plans to cut it by another $3 billion this year, the company said. It plans $33 billionof capital expenditure this year following the combination with BG, lower than a previous estimate of $35 billion. The company has the flexibility to shrink that further, according to the statement. Aberdeen Asset Management Plc and Invesco Asset Management Ltd., two of Shell’s major shareholders, have said they will support its plan to buy BG even with crude’s decline. The acquisition allows The Hague-based Shell to accelerate the reshaping of its portfolio toward deepwater assets and gas, and BG’s production is likely to grow strongly in the next three to five years, Invesco fund manager Martin Walker said. BG, the U.K.’s third-biggest oil company, said 2015 production probably averaged 704,000 barrels of oil equivalent a day, exceeding its forecast of 680,000 to 700,000 barrels a day. 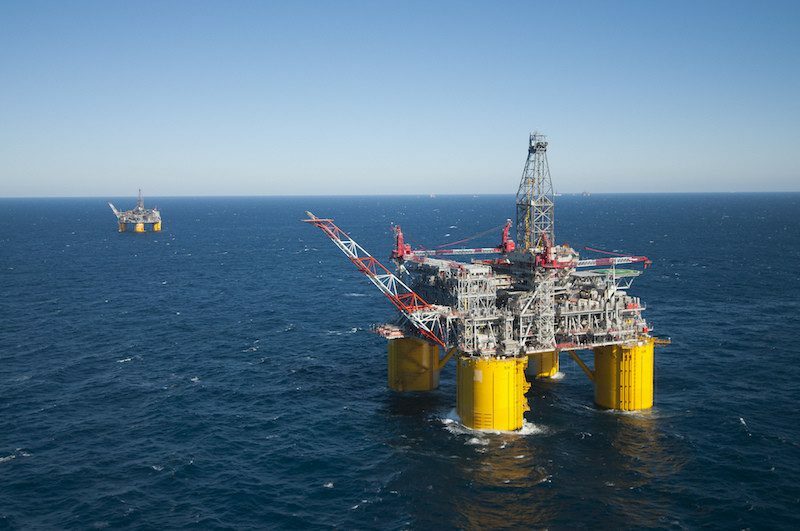 Shell’s fourth-quarter production is likely to average 3 million barrels a day. Reading, U.K.-based BG expects full-year adjusted earnings of about $1.7 billion, excluding earnings from asset sales, when it publishes final results Feb. 5. That compares with profit of $4 billion in 2014. BG is also taking a net charge of about $700 million in the fourth quarter to include an impairment due primarily to the slump in oil and gas prices and a revision of reserves including North Sea and Tunisia projects, the company said. BG shares dropped 2.5 percent to 916.5 pence on Wednesday, extending their decline this year to 7 percent. Shell in April offered to pay 0.4454 of its B shares and 383 pence for each BG share. The discount of BG to the offer price was 5.3 percent at the close on Tuesday. It reached 12.6 percent on Dec. 21. Shell’s shareholders are scheduled to vote on the acquisition on Jan. 27 and BG’s the next day. Shell requires the backing of 50 percent of its holders. In BG’s case, votes in favor must represent at least 75 percent of the total value of the company’s shares. The merger will probably become effective Feb. 15. Shell will report final quarterly and full-year earnings on Feb. 4.